Few days before, ROXEN released the video teaser of their song BUJH HAI GAYA and now the full version of this video is available. . . . . This song is in controversy from the very beginning as OMER NADEEM claimed that this song is the copy of his song DIL KA DIYA. SHAFQAT AMANAT ALI is going to come back with the video of his song TU HI TU. And the video teaser of that song is available now and I am sharing that here...... Hope that, the full version of this video will be out soon. 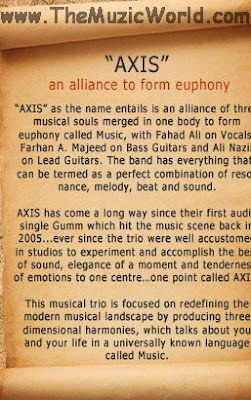 Few months back, THE MAX PROJECT released the debut track DHUAAN featuring SAM (AKASH THE BAND) and NASIR (LAGAN THE BAND) . 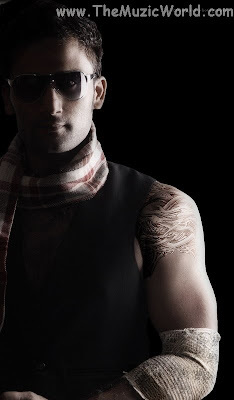 And now, THE MAX PROJECT is out with the music video of the song KYA HUA featuring again SAM (AKASH THE BAND)....... It is a nice video and talks about the current scenario of their country. Few weeks back, ROXEN released the audio teases of their song BUJH HAI GAYA. And now they are out with the video teaser of BUJH HAI GAYA. . . . . This song is in the controversy from the very first day cause OMER NADEEM claimed that BUJH HAI GAYA is the copy of his song DIL KA DIYA. 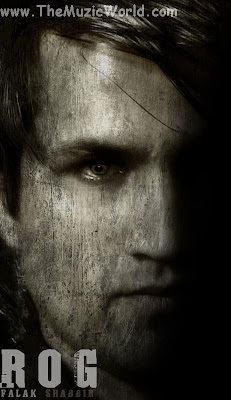 Watch the video teaser of BUJH HAI GAYA of ROXEN here. FALAK is back with the slow version of his hit debut track ROG. Hope that this song will be the equally famous as the original song. To download ROG (Slow Version) by FALAK, 'RIGHT CLICK' and 'SAVE TARGET AS' on the given link below. To listen the song, click on the blue PLAY button. RIZOO was the first artist who got featured on THE MUZIC WORLD and after the success of his debut track DOORIAN, RIZOO is back with unplugged cover version of the song TERA WO PYAR of SHUJA HAIDER. To download the song TERA WO PYAR by RIZOO, 'RIGHT CLICK' and 'SAVE TARGET AS' on the given link below. To listen the song, click on the blue PLAY button. After the big success of PHOOKLE,ZUJ is back again with his latest track BAYRUKHI. To download the song BAYRUKHI by ZUJ, 'RIGHT CLICK' and 'SAVE TARGET AS' on the given link below. CALL THE BAND is out with the official video of the song YE PAL from the movie AASMA : SKY IS THE LIMIT. This video is available to download and watch, now. 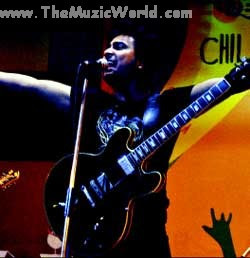 RAHAT FATEH ALI KHAN also gave the vocals for one song of the movie AASMAN : SKY IS THE LIMIT. He performed the song MANN BAWARA. To download the song, 'RIGHT CLICK' and 'SAVE TARGET AS' on the given link below. To listen the song, click on the blue PLAY button. Saad Arshad awarded as the ”The Best Drummer” at Levi’s Rock Club! ZEEK THE BAND is out with the unpluged version of their first track, AAG. To download the song, 'RIGHT CLICK' and 'SAVE TARGET AS' on the given link below. 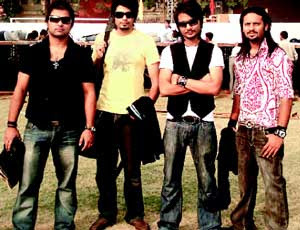 Lahore-based rock band AKASH recently returned from a highly successful tour of India. Akash is famous for their thrilling live performances and that was the very reason they were invited to perform a number of shows across the border. During the tour, Akash also represented Pakistan at the 9th International Children’s Festival of Performing Arts. 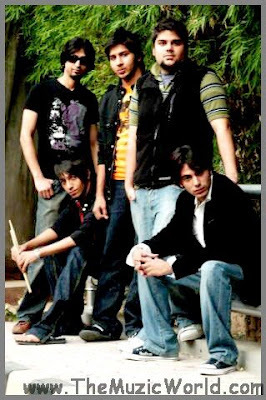 They unfortunately could not represent Pakistan on World Aids Day in India because of the tense scenario but the band hopes to perform next time whenever it happens. All the Akash’s shows were sold out and hit in every aspect. The four-member band played hit songs like their identity rock extravaganza, Ji Liya, sensational Armaan, melodious Aaj Phir and covers like Lal Meri Pat & Dosti in Akash’s signature style. I am having the pictures of their performance in India and soon i will post them here. 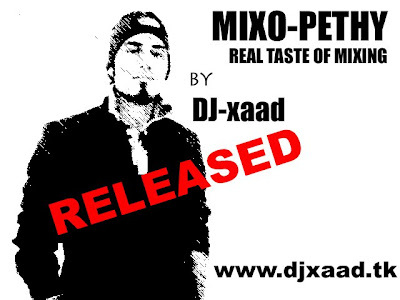 As I mentioned in my previous post that MIXO-PETHY of DJ XAAD is released and few songs of that album is available to download. And in this post, I am sharing the download links of all those songs. 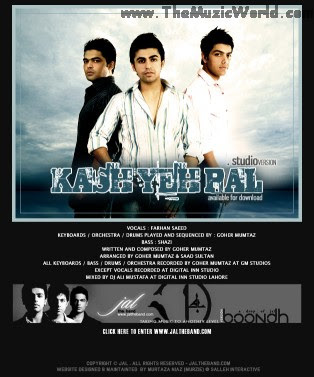 To download the song, click on the download links given below. Everybody loves to look good and attractive. This is the reason that you can find , many people are following fashion and latest trends in their lifestyle. Accessories are one of the most important thing and jewelery are the most important accessories. You can find that even men are using jewelry to look good. And if you are looking for some nice designer costume jewelry then, Holstedjewelers.com is having a huge collection for this. They are working in this field since 1971 and in just last 5 years, they shipped over 15 million products to style-conscious shoppers in North America and abroad..... So just try them now because Wearing is Believing! Few days back, I made a post about the video teaser of the remix album MIXO-PETHY by DJ XAAD . And that album is officially released now. Few songs of MIXO-PETHY is available to download and I got the download link of one song ALLAH HOO ( DJ XAAD Mix) from that album and I am sharing the download link for that song.... Soon you will get the download links of other song.... 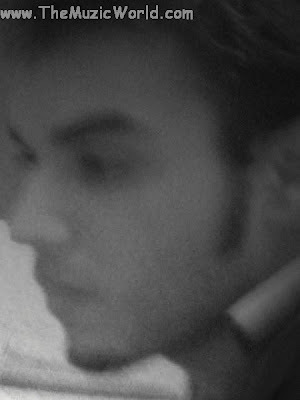 SO keep visitng for more DJ XAAD stuff. To download ALLAH HOO (DJ XAAD Mix ), click on the given link below. WAQAR of RAAH THE BAND performed their upcoming song INTEZAAR in an interview and video of that performance is available now. Earlier another member of RAAH THE BAND, ASHAAR performed the same song and i shared that with you all.... Now this time , it is WAQAR. These days doing MBA is an important thing for every student.But few people do not get time for that as after completing the graduation,they used to get some job.But for a good job and for a better promotion in your existing job MBA is must have degree.For the people who just can not to full time or regular course of MBA because of any reason or for the people who want to get a degree online, Capella University is a nice option. It is an online university and it is existing since 1993.It is an accredited university.They offers graduate degree programs in business, information technology, education, health, human services, , and psychology, and bachelor’s degree programs in business, information technology, health, and public safety.So you have a nice option to select any of those courses of your choice.Even within those areas, Capella University currently offers 101 graduate and undergraduate specializations and 15 certificate programs......So you can easily get a degree of MBA or any other course,from a good university side by side with your job and other things. For more information, please visit http://www.capella.edu or call 1-888-CAPELLA (227-3552). In my last post, i shared the audio/video teaser of the song YE PAL by CALL THE BAND (OST: AASMAN) and now the full song is available and i am sharing that with you all. To download the song, 'RIGHT CLICK' and 'SAVE TARGET AS' on the given link below. To listen the track, click on the blue PLAY button. To download this track, Click on the given link below. These days everybody is suffering because of economic crisis. After THE GREAT DEPRESSION, many people lost lots of money. Most of them lost their money in stocks. Even few of my contacts suffered huge lose in stock market. So best way to invest in stocks is by analysing. And with the help of stock options of Power Options, you can easily sort, filter, and analyze all 3,000+ stocks and 195,000+ options online to find investments to meet your profit goals. PowerOptions brings together timely essential data, extensive analysis, and comprehensive option information. So if you want to give it a try then, this is the best time as it is available for a free 14 day trial. So analyse well and get more. Few days back, i posted the video of LAMBI JUDAI : ATIF ASLAM (Tribute To RESHMA At LUX STYLE AWARD) and now I am sharing the audio of all songs of ATIF ASLAM's performance at LUX STYLE AWARD. To download the live performance songs of ATIF ASLAM at LSA,click on the given link below. To listhen these tracks, click on the blue PLAY button. 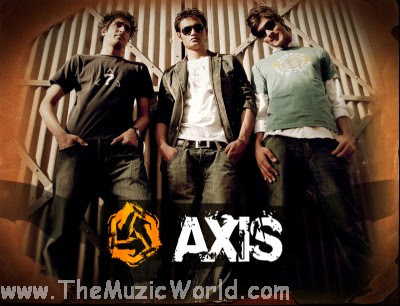 To download NAYA DIN by AXIS THE BAND, 'RIGHT CLICK' and 'SAVE TARGET AS' on the given link below. To listen the track, click on the blue PLAY button. BLACK SKULL The Band is going to come back with their latest tracks, soon. For now, they performed few covers and they are availbale now to listen and watch....Here I am sharing those videos .